To celebrate the launch of ASUS’s ROG Maximus IV Extreme, the latest Republic of Gamers motherboard with LGA-1155 socket for Intel’s Sandy Bridge processors and SLI / CrossFire support, here is a special version of CPU-Z (v1.55.2) with a neat ROG skin. 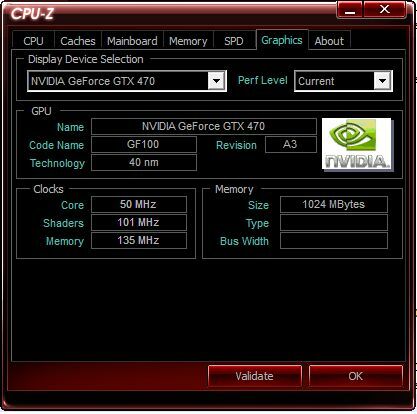 Okay it’s not the latest version of CPU-Z (which is 1.56) but the skin is cool. 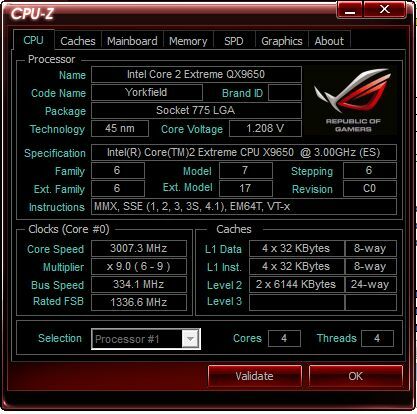 You can download this version of CPU-Z here: ROG CPUZ now available!